* Total number of reviews and star-ratings are based on data collected during the time period Rebmann Plumbing HVAC has been using the ReviewBuzz system and may not directly match the data found on each public review site. Rafael was terrific to work with. He made our transition from oil to gas a smooth and painless process. Throughout the time we worked with him Rafael was always professional, courteous and willing to problem solve with us. We highly recommend working with him. The whole crew, especially Christian (who has done a lot of work for us), provide a great experience. Rebmann really takes care of us. Pablo was very knowledgable and careful. Had a problem with shower thermostat controls. At first was unable to remove handle due to extreme calcium buildup. Had to "soak"in vinegar overnight. Was still difficult to remove but Pablo persevered and figured out a non- damaging way to finally remove the old handle, clean out the "mounds" of calcium buildup and put new thermostat control handle in place. Very pleased with the service and Pablo personally. Joe G. at Rebmann and his crew were awesome! They came the day that I called and returned 3 more times to ensure everything was perfect. He was neat and very knowledgeable. DO NOT GO ANYWHERE ELSE! Old gas fired, steam boiler finally gave out. Quick and solid estimate to replace and an extremely professional install where techs went above and beyond to make it not only functional but a clean and nice looking installation. Read some other reviews here saying price was to high...I did not find that but even if it is on the higher side, you get what you pay for folks. Will highly recommend to friends and neighbors. Christian was able to examine the situation and through pictures work with Guy and Scott to finally determine how to fix the ongoing problem. Rebmann is a trustworthy quality operation. I have used them for several years now and they have the expertise to get the job done right. Joe G and his team from Rebmann provided timely and professional service when my homes split a/c unit was malfunctioning. They fixed the issue in an efficient manner. I have used Rebmann Plumbing for several years, both large and small projects, and find they provide consistent quality service. The entire team couldn't be nicer. It was a pleasure dealing with such a professional team. From the first call to the end of the installation the communication was fantastic. the team was professional, courteous and efficient. The installation of my new boiler was amazing the installation crew was all business getting everything up and running in no time. Thank you you've made a customer for life. I liked Carlos very much he was very understanding and knowledgeable. I would recommend him highly. Contacted Rebmann to report a leak in my water heater. Our unit was installed in 1995 and clearly had to be replaced. A Service Pro arrived within the hour from my phone call. Service Pro, Rafael, introduced himself and entered the house after placing booties on his shoes. He observed the leak, the age of the water heater and immediately recommended a new unit. Rafael provided 6 year or 10 year warranty water heaters with prices. I accepted one of their 10 year warranty 50 gallon water heater. Within 20 minutes Service Pro, Hugh, arrived with the new water heater. Prior to any work being conducted, Rafael placed tarps on the floor where they would be traveling. During the 20 minute wait, Rafael began the break down of the original water heater. Overall, this was a 2.5 hour install from arriving to installing the new water heater. Rafael went over the receipt, the warranty and the control of the new water heater. The half an hour of the install was ensuring the water heater was working correctly and checking his soldering and connection of gas and water. Rafael checked the CO reading twice. Quick, professional and clean operation. Could not be happier with the service received from both Rafael and Hugh. I cannot say enough about Scott Ambrosio and Rebmann. I was without A/C for 12 days in this heatwave, having allergies and asthma and the company I always dealt with was taking their time, putting in a part that died the next day and after 10 days saying I needed a new central A/C system. They were going to sell me an insufficient system for my house and install it 5 days later. By luck I found Scott who came to my house the same day, explained what I needed, had the new compressor installed the next day and the handler the next. His men were polite, professional and efficient. I have rarely dealt with a company like this and recommend them to anyone who can use their services. Excellent experience with Rebmann and Paul B. this morning. Air conditioner broke overnight, called first thing in the morning and Paul and his partner were here by 8:30am. Service was professional and friendly. An hour later everything was repaired including having to obtain a new part. Would highly recommend. Christian was professional and clearly knows his stuff. Rafael was very knowledgeable and expertly addressed the issue at hand, without trying to oversell or do things that were unnecessary. He went out of his way to provide excellent customer service. Very professional and courteous. Customer service is always a top priority at Rebmann Plumbing HVAC. Our BBB Membership A+ rating is like a badge of honor as we continuously strive to provide the best experience for our clients. Carlos C has a 5-Star rating and leads the company in total reviews, making this pro a ReviewBuzz Rockstar! I have used Rebmann several times and am very satisfied with their work. 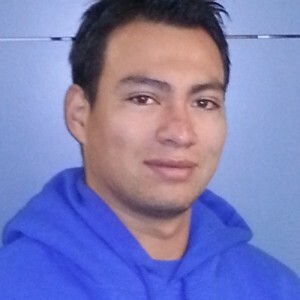 Carlos is very knowledgeable and is also very nice to deal with. Carlos C. and Sergio and Antonio were extremely courteous and respectful. They installed the unit with the least disruption and explained to me every step along the way. Very professional, and I would highly recommend them. Carlos C. is an asset to Rebmann. He handled himself in a courteous, professional manner. His expertise in diagnosing my CAC mechanical problem was exemplary. 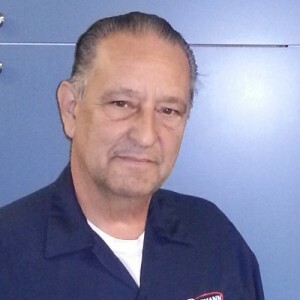 Carlos C. is a courteous, knowledgeable professional. He is an asset to your company. Excellent, truly high quality services. Wish everyone was as knowledgeable, thorough and professional as the highly experienced Joe and other members of his able and courteous team including Carlos and Christian. Imagine if everyone who walked through the door of ones home were of this calibre. We added central AC to our existing central heating. Carlos and his team did excellent work. They would be my go to for hvac problems anytime! We are very satisfied with the work that Carlos , Sergio, and Antonio did. They are trustworthy and do excellent work. Will definitely use again. Positive - Arrived on time and Tech. Carlos C did a professional job starting up the split system A/C . Very Thorough . Would recommend this company. After interviewing 4 HVAC companies, we decided to go with Rebmann. Their professionalism and knowledge was clearly heads and shoulders above the rest. The foreman Joe came in to look at the job. I felt confidant that he knew what had to be done. I would like to give a special shout out to Carlos who was everything you could possibly want in a hard working professional. 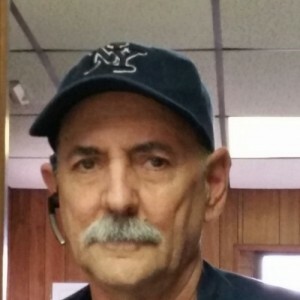 He knew about HVAC, plumbing and even helped us with cleaning out filters; he went above and beyond to help us achieve the satisfaction that we paid for. Their plumbing services are also excellent! All in all, the prices were fair and the work was excellent! Thank you to Rebmann for always providing great service. The technicians are all fantastic and knowledgeable They are respectful in my home. They don't leave until you are completely satisfied! I have been a loyal customer for 4 years and can always count on them. Found the problem immediately. Fixed it immediately. Shared their knowledge (extensive) willingly and were both very amiable. Will be changing from our current firm. Professional and knowledgeable from the estimate to job completion. They covered my floor from the front door to the work area. The men are friendly and courteous and had the utmost respect for my home and property. I would recommend Rebmann for any of your HVAC needs.